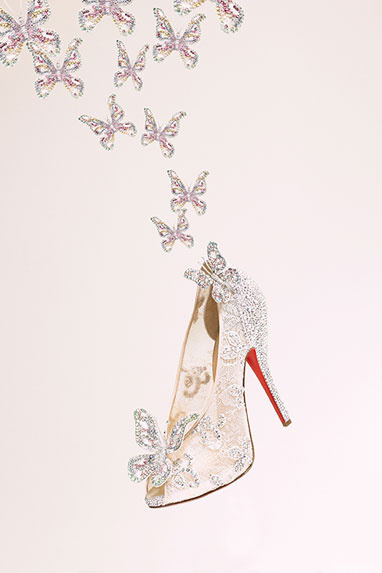 Christian Louboutin has teamed up Disney and made Cinderella's glass shoes possible! With a modern and elegant touch, he created these fabulous shoes. Now, who wants to be Cinderella? The design of these shoes is made with a lot of materials such as lace and Swarovski crystals. These shoes will not be produced for mass sale as there are only 20 pairs worldwide and it will be given away this August! Anyone receiving this will turn into modern-day Cinderellas. You may know her from her recent movie: The Amazing Spider-man(watched it yet? haven't? go.watch.it.now). Emma Stone who is now dating her co-star Andrew Garfield, is on the cover page of VOGUE UK August 2012 issue. She looks gorgeous, isn't it? Love your blog!! Would you like to follow each other on gfc and facebook? Wow! Love this blogpost and the idea...:) Saw your blog through a fellow blogger and I am loving it so far, I am your newest follower and cant wait to see more from you. I would really appreciate if you could check out my blog and let me know your thoughts on it.